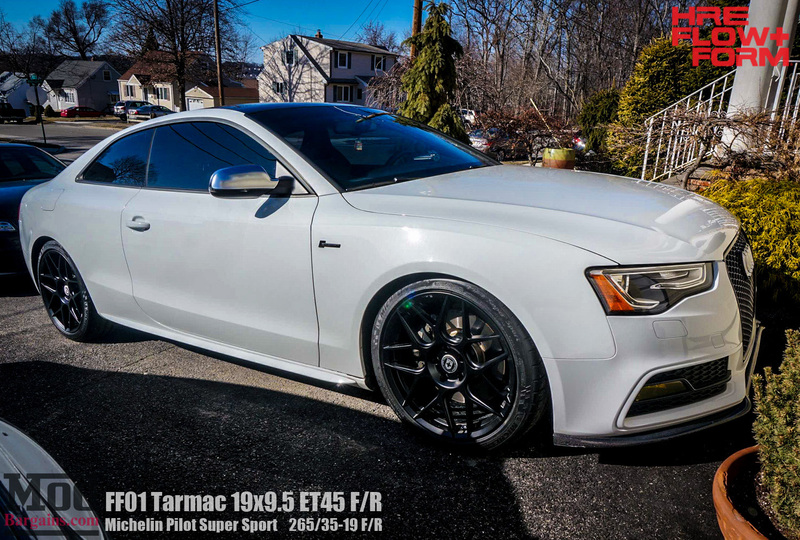 Sr Mod Expert Alan Wei recently helped out E. Carlino (instagram @e.carlino ) with a set of new wheels for his 2013 B8.5 Audi S5 to make his white Auto Union coupe stand out a bit more from the crowd. 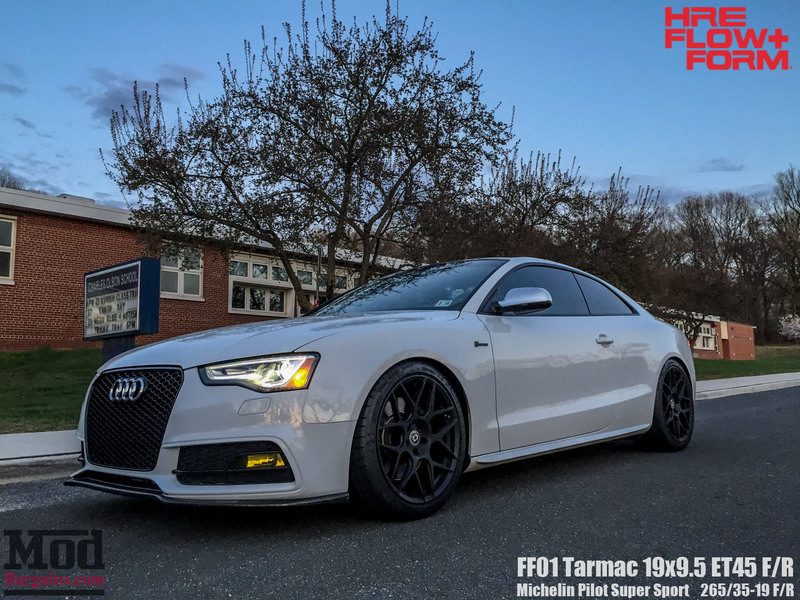 Alan recommended a set of HRE Flow Form Wheels, specifically HRE’s FF01 wheels for Audi. 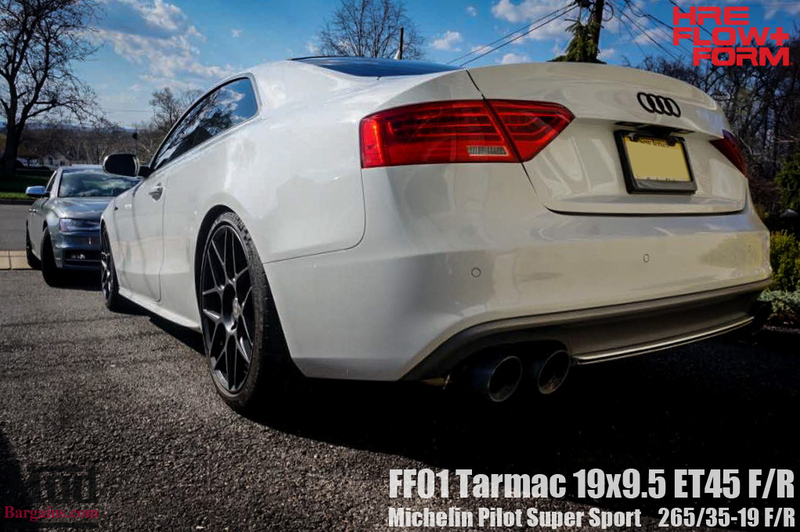 The FF01 looks great on Audis as we’ve seen in the past, but this is the first Tarmac/White combo we’ve seen done on an S5, and the look is pretty killer. Since they were hardly worn out, E Carlino opted to keep the OEM tires, Michelin Pilot Super Sport Tires in 265/35-19 on all four corners of the Quattro system. 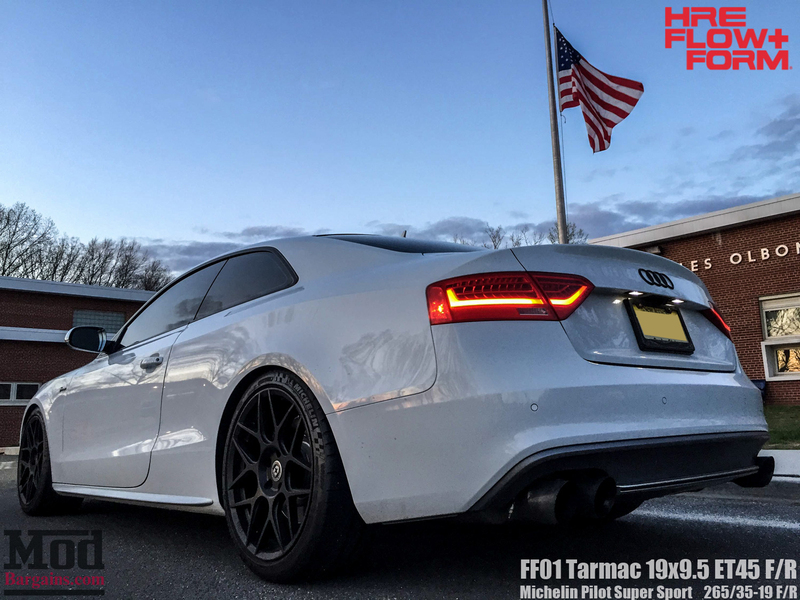 The ET45 fitment takes a little bit of finesse on the B8.5 Audi S5, so Alan set Carlino up with a set of 10mm Spacers up front and 15mm spacers in the rear, though he tells us that were he to do it again he’d spec it at 15mm front, 20mm rear – about 5mm more on all four corners. All in all, this setup on the S5 is both sleek and stunning, managing to look great without being “in your face” about it like “louder” colors tend to do and we have to say, E. Carlino has put together one very slick package. Interested in making your Audi look this slick? Talk to our Mod Experts like Alan, give us a call at 714-582-3330 (x8006 for Alan), chat live on ModBargains.com or just stop by the ModAuto showroom in La Habra, CA any day during business hours to see what we can do for your ride.